Hey guys, here I am again, your Rare Lynx man in Portugal! So…I woke up with this idea (I usually wake up with a bunch of ideas which I forget immediately, but this one got stuck in my mind). 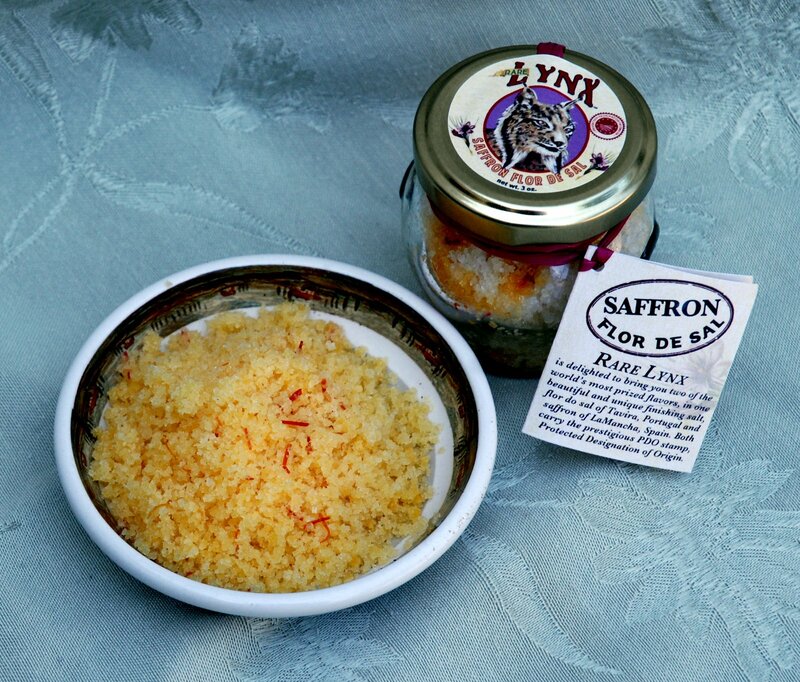 What if I put together two flavors: nutty and savory, using the exquisite Rare Lynx products? I also felt I could bring together cold and warm, since summer is ending, as a blend of seasons. Well, sounded interesting to me. I could create an harmony in a dish! What about that, huh? 2 cups cubed homemade bread or go get it from a good traditional bakery. Let it sit for 2 or 3 days before you use it on this recipe. The first thing you want to do is to cut the tomatoes in cubes and pop them into the blender and hit the button. 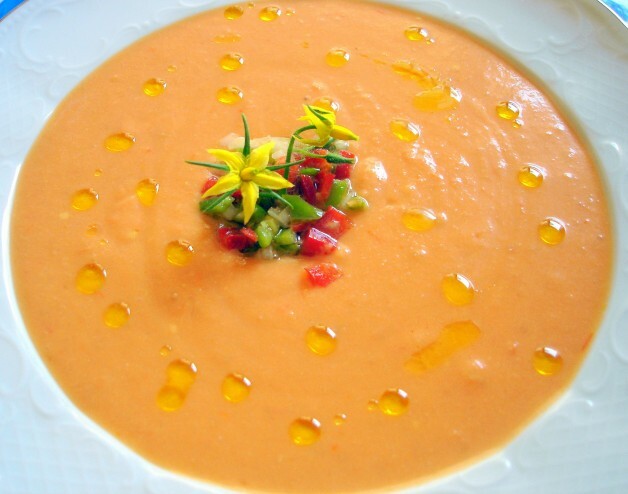 Then you strain it, so you get this soft creamy tomato juice. Now we put the juice back into the blender along with all the other ingredients. Click the button and go Bzzzzzzzzzzzzzzzzzz! Some blenders sound like this, others go Vrrrrooooooooommmmm! Careful: don’t ever put it on a blender that goes Rrrratatatatata., cause those are called….tractors. Open the blender and taste it for salt and acidity. You don’t want it too acid since this is not a gazpacho, this is milder. You like it huh? 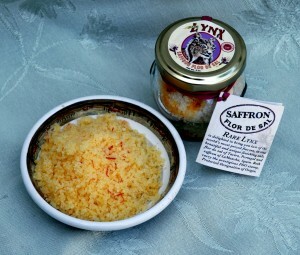 Its fragrant, fresh, has a soft tomato and garlic flavor and the saffron is there too, right? Besides, the silkiness of the olive oil takes it to another level. Now its time for the WILD RED SPREAD RICE. Ready? 1 1/2 cups of brown rice. (whole grain rice is hard to cook, right? Here’s a secret: wash it and soak it in water overnight. The next day just cook it as any other rice. No pressure cooker needed). First thing you want to do is boil the vegetables and let them sit aside (corn, green beans and peas). Now lets cook the rice. Pop the Rare Lynx Extra Virgin Olive Oil into a deep pan and let it heat a little bit. If you have left the rice soak overnight as I told you before, strain it and throw it on top of the olive oil to give it a fry. Pour the water in and let it cook. Taste it. You will want it “al dente” like the Italian pasta. Take the rice out of the pan and put it in a strainer. Now comes the fun part! Yay! Use the same pan where you cooked the rice. Pop in the Wild Red Spread, and a splash of Rare Lynx Extra Virgin Olive Oil along with the thyme, cause we’re going to sauté everything in it. Put the mushrooms in and then the nuts. Let these slightly toast. Add the cooked rice, the olives, and in the end the vegetables. 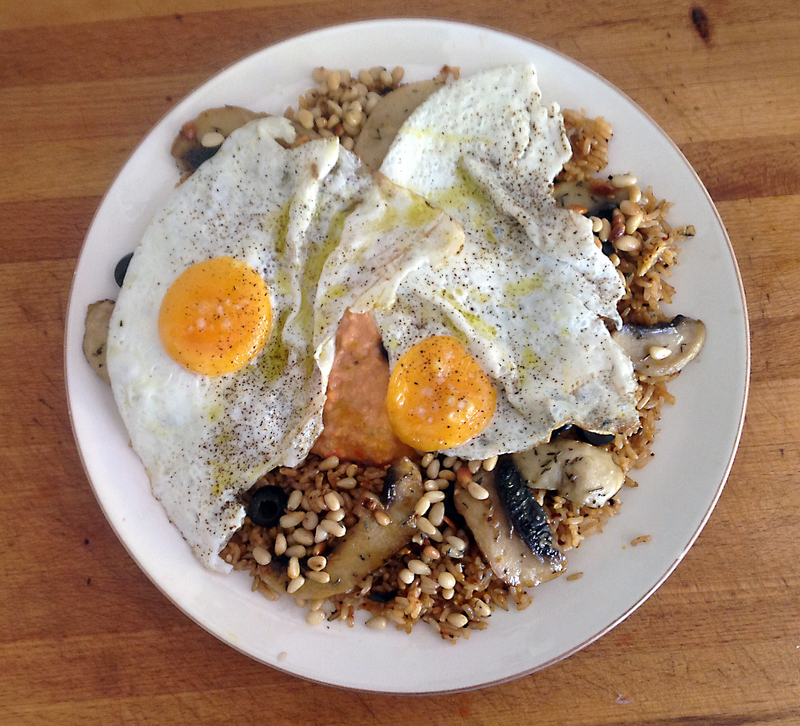 Sauté everything for 1 minute and you will be amazed by the nutty smell released from the pan! Take it out of the oven and sprinkle some mint leaves over. You gotta pay attention, cause now comes the DIFFICULT PART!!!!!!!!!!! Some of our favorite producers of free range eggs here in Charlottesville are Free Union Grass Farm or Liberty Farm. All you have to do now is just presentation, presentation, presentation. Put the rice on a dish along with the salmorejo and the eggs. As you can see in the picture, I’ve put a layer of rice on the dish, then dug a hole in the middle and poured the salmorejo in (thats the orange/pink cream you see under the eggs). You can also divide the dish in 3 areas: one for the rice, another for the eggs and the remaining one for the salmorejo. Now its up to you…just be creative! 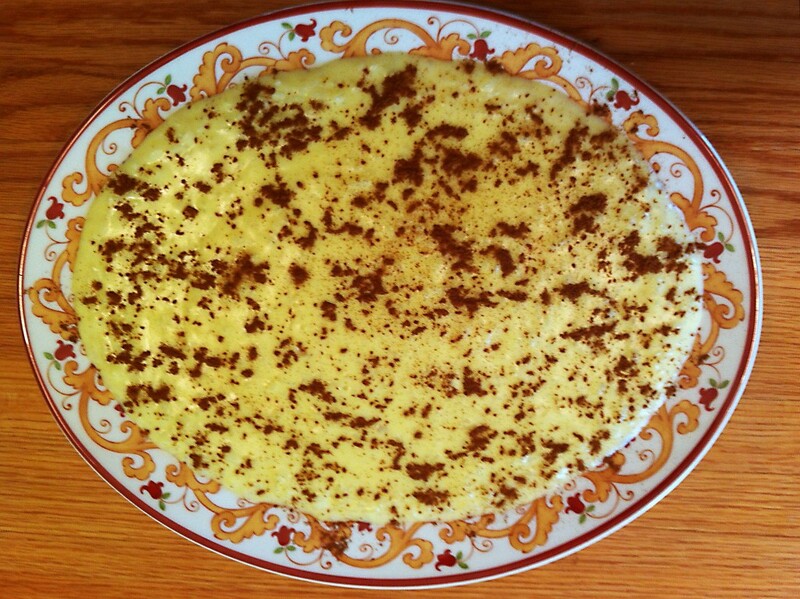 Finally, drizzle a little bit of Rare Lynx Extra Virgin Olive Oil on it and….. JÁ ESTÁ! (thats Portuguese for “Its done!”). This is just the most delicious combination of nutty, savory, fresh, and warm sensation in your mouth. Its like tasting the four seasons in a bite, believe me! I hope you try it…I know you will love it! Out of the Oven…Rare Lynx Pork Ribs! I’m Portuguese and right now I’m writing from my home town in Évora, Portugal to tell you about one of my delicious Rare Lynx recipes. Its around 95 F outside, 1 pm, lunch time and I feel like a good piece of pork meat, a nice salad, and some lemonade…or a good Portuguese red wine, I’m thinking Reguengos – just look it up. So, I’ve decided to go for it, and bought me a good rack of pork ribs at the local farmers market – we have great pork meat, you guys should try it. And to give it that special taste…well, nothing better than the good and exquisite Rare Lynx Wild Red Spread. Yeah! These Virginia products are finally being used in Europe, and Portugal is playing a big roll in it. Ok, are you ready? By now you guys must be starving! 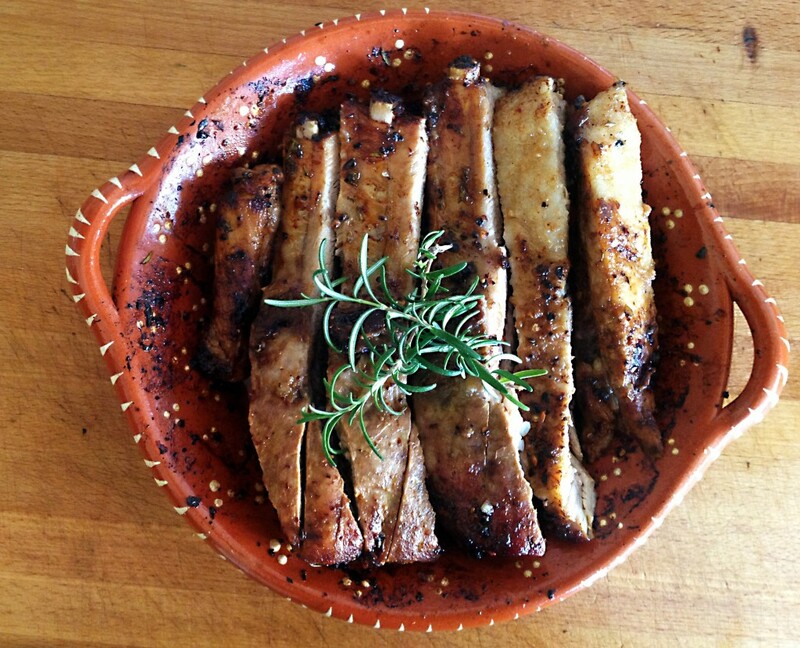 This is a very easy pork ribs recipe. Basically what you have to bear in mind is the quality of the ingredients you use to season the meat. 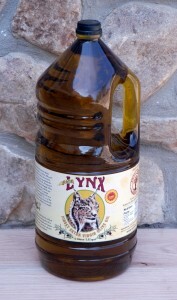 To guarantee that quality I’ve used a combination of Rare Lynx products and organic Wildwood’s Hickory syrup. 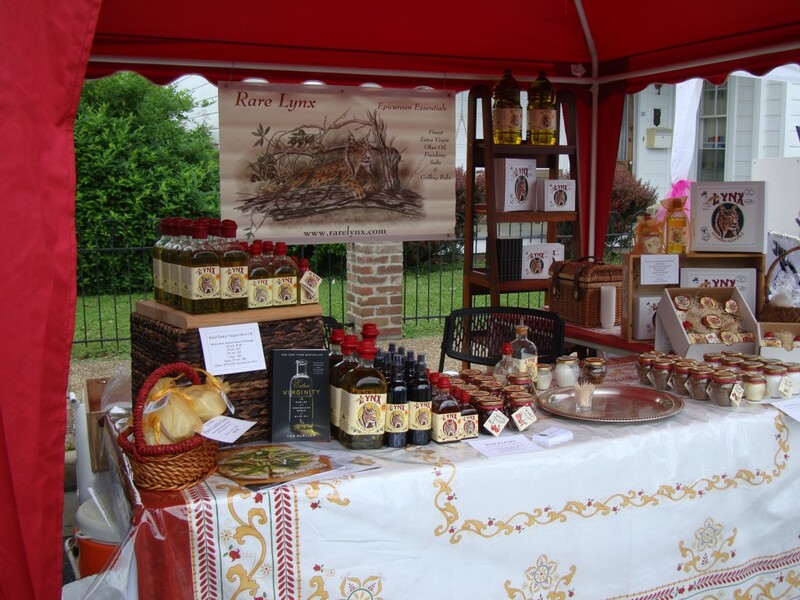 The best products from Virginia…to the World! All you have to do is give your meat some slight cuts so it absorbs the ingredients. Now its time for the marinade. Get a bowl and pop all the ingredients in. 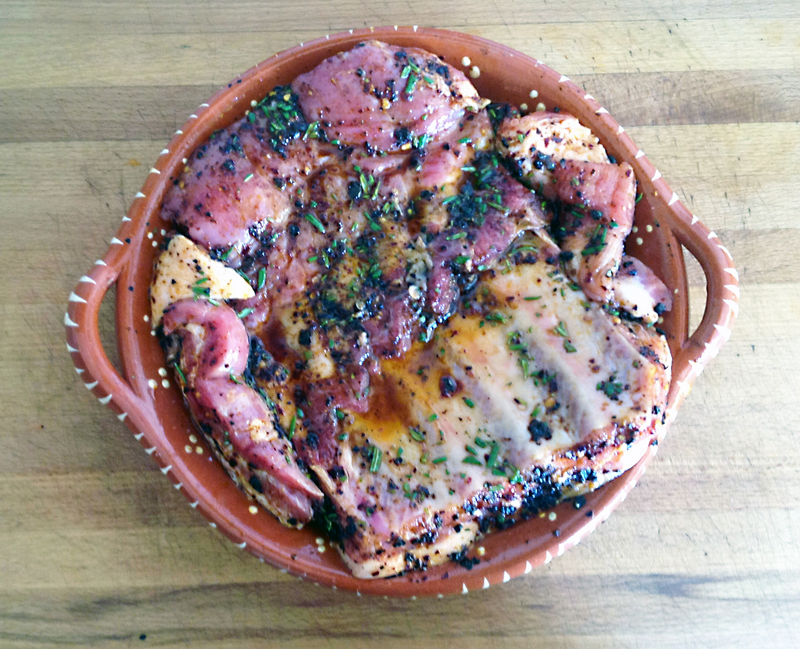 Mix them all up and use your hands to give the meat a good rub with this marinade. Let it sit for 3 hours or more. After that, just put it in the oven 428F or 220ºC for an hour or a bit less if you like medium rare. You can grill it instead if you want. Wow, you have no idea of how delicious this meat is! Tender, spicy, sweet…a mouth full of flavors! By the way, the pot is traditional portuguese. We use these a lot to go in the oven. I’ll be writing you some more recipes soon! 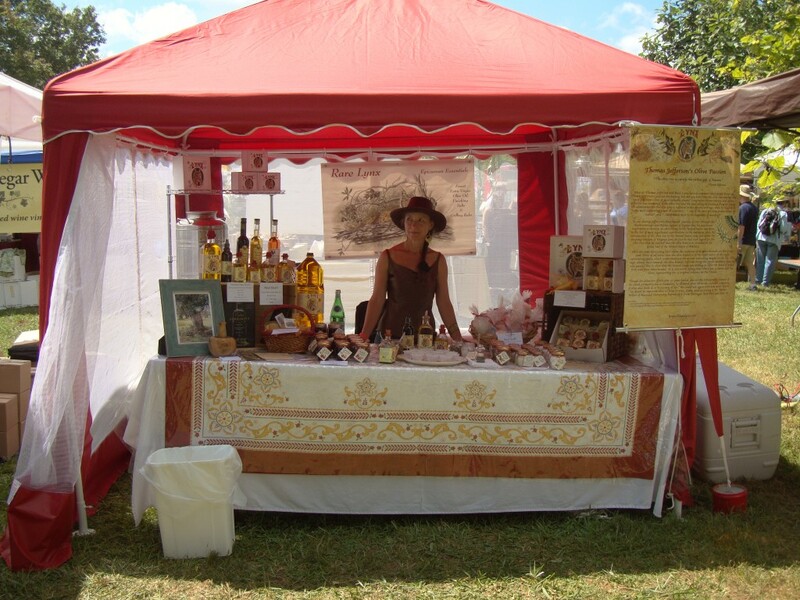 What a perfect day we had at the Heritage Harvest Festival last weekend. Not only did we enjoy the exquisite weather, but the view, the folks, and our fellow vendors! We were so busy, we weren’t able to get out much, but we especially want to mention some of our wonderful neighbors at the event, who have been a great inspiration to us. We love the pioneering spirit, of each and everyone of them! Let’s start with our next door neighbors Wildwood’s Hickory Syrup, soon to be Falling Bark Farm Syrup. Joyce and Travis have discovered a truly lost treasure, hickory syrup, made from the bark of hickory trees, and are working around the clock to bring this beautiful syrup to all! Who could have imagined? Christopher has been experimenting with blending hickory syrup with our Wild Red Spread to make amazing marinades. Then there is Rachel Williamson’sFair Weather Farm beautiful home grown herbs, flowers, teas, and bark baskets, all produced on her little farmstead in Nelson. You go girl! Relay Foods the most awesome online farmers market anywhere! These guys are brilliant. If you can’t make it to City Market this is the answer for you! Including ordering your Rare Lynx products! Best of What’s Around with their highest quality grass fed beef, it is the best of what’s around! Tracey Love seems to be wonder woman between selling beef and organizing fund raising events for worthy local food initiatives through Hill and Holler. Blue Ridge Pizza take after our own heart with their portable wood fired pizza oven, they are making the best pizza we have tasted this side of the Atlantic! 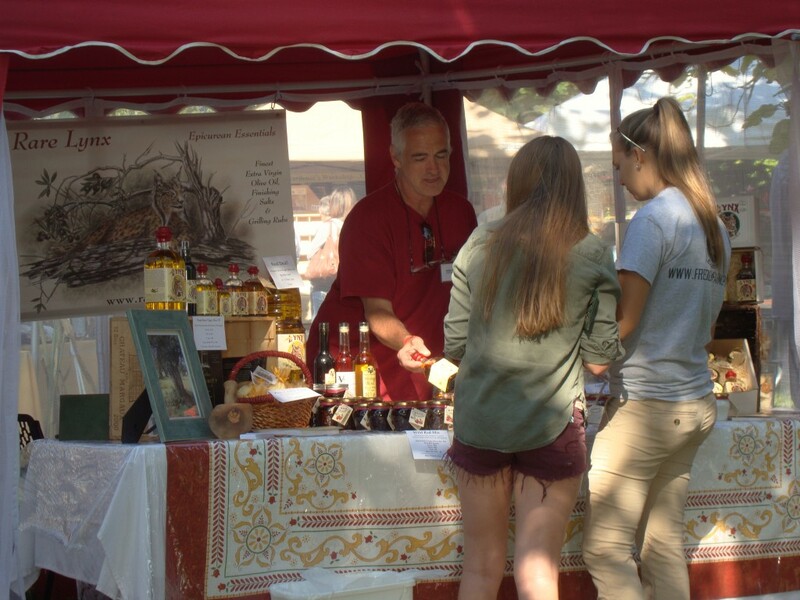 Then of course, last but not least, our favorite vinegar makers Virginia Vinegar Works, who make the best artisanal vinegars we’ve ever tasted, and the perfect companions for our olive oil! Steph and Jay, are another awesome couple who are producing vinegar drawing from Virginia vineyards and breweries, using a 17th century French technique. We were also very pleased to have Rare Lynx Flor de Sal featured at the Grand Preview dinner Friday evening catered by the inimitable A Pimento. Thanks to everyone who stopped by our table! We are already looking forward to next year. Please join us on Saturday September 28th for more tastings, at the Monticello Shop too! 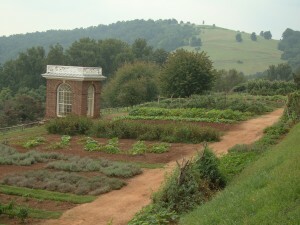 It was during Jefferson’s three month journey of 1787 through the Mediterranean and Alpine regions of Europe that his passionate inspiration to develop an olive colony in the United States was born. 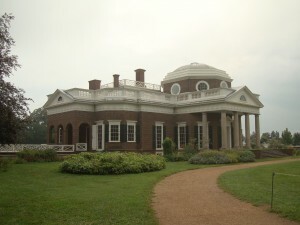 In his list of most significant contributions to the nation in 1800, his introduction of the olive tree to the United States came just under his sweeping revision of Virginia laws. In fact he had such regard for the olive tree that he insisted that the olive branch be included on the Great Seal. Here are some interesting facts about the inclusion of the olive branch on the Great Seal. 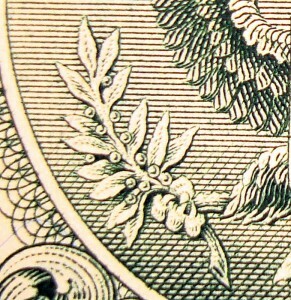 First of all notice that the olive branch is in the right talon of the eagle representing peace, which counterbalances the arrows indicating might in the left. The eagle always faces towards the olive branch. Jefferson being the great mediator that he was, wanted this to show that the United States was willing to offer the hand of peace first, and force when needed. It is also worth noting that there are 13 leaves and 13 olives, representing the 13 original colonies in the Union. Though his extensive efforts over 30 years failed, due to the inhospitable climate of the south, primarily due to humidity, he elevated olive oil to the exclusive company of wine and books as a “necessary of life.” We could not agree with him more! Until his death he imported olive oil from France, Italy, and according to Dr. Walter Willett of Harvard University, barrels of it from Portugal. 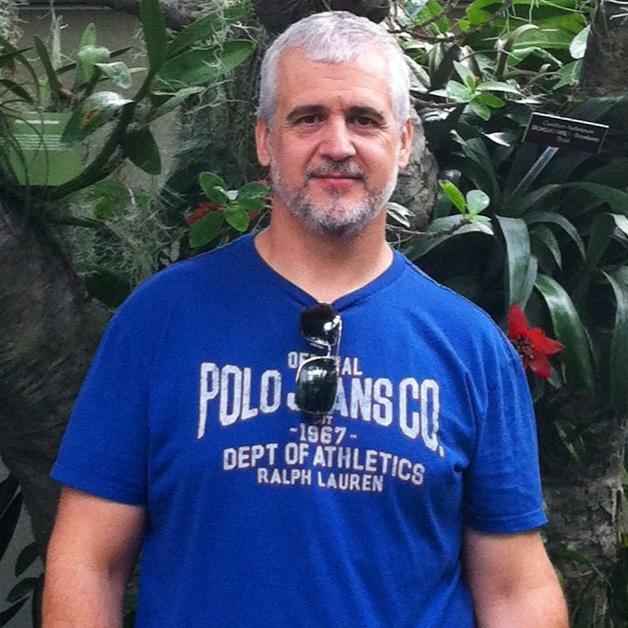 Meet Manuel Dias: Our Man in Portugal! Manuel joining us at the City Market! Some of you might have met our good friend Manuel Dias at the City Market or at the Edible Food Fest in Orange in the past few weeks! Manuel who has been our teacher, tutor, guide, translator, assistant in navigating the ins and outs of Portuguese red tape, and good friend, has been visiting us from Portugal for the past month, his first visit ever to the United States! He is a professor of Portuguese literature; is fluent in 3 languages (Portuguese, Spanish, and English); has a masters of jazz from the renowned Hot Club of Lisbon, as a fabulous vocalist singer; is a bonsai hobbyist; and has been collaborating with the University of Évora in computational thinking studies, especially as is related to the learning of languages. Oh and did I mention, a great cook to boot! In 2008, not long after arriving in Évora Portugal, I contacted Manuel who had been recommended to us as a tutor of Portuguese. We met with him for several months 2 to 3 times a week in an attempt to learn Portuguese which we supposed would not be such a great leap from learning Italian, as Christopher already spoke some Italian and I had been studying while in Sicily. Well, despite Manuel’s good efforts and ours, Portuguese proved to be extremely challenging, and we found ourselves far more engaged in developing a long standing friendship. How wonderful it has been to have him here and to give him a taste of American culture, and cuisine. We just want to offer our great thanks and appreciation for this great friendship and partnership, in making Rare Lynx possible. We couldn’t have done it without you! Get REAL! No, we are not joking! Listen up, restaurateurs, caterers, food cooperatives, families, and neighborhoods: Think about grabbing a case of our 5 liter jugs at unreal prices for REAL olive oil! 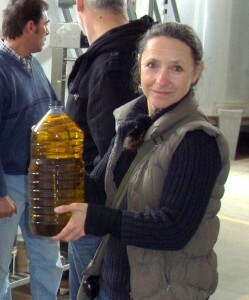 Rare Lynx has been doing so well since our launch we are gearing up for our return to Portugal to participate in the 2013 harvest this Fall, observe the pressing, and arrange our next shipment of the freshest extra virgin olive oil around. This means we have to clear inventory space to make room for the 2013 products. The situation means big savings for those interested in bulk purchases. This is a rare opportunity to nab some of our 2012 Gold Medal Award Winning Extra Virgin Olive Oil at a rock bottom price when buying in bulk quantities. These jugs were filled at the mill and have been stored in the dark at 68 degrees. We do not want one drop of this special olive oil to be lost! Each case has four of our 5 liter jugs. For bulk quantities of 4 cases or more we are offer $240 per case, only $12.00 a liter! At these prices we are practically selling at cost! 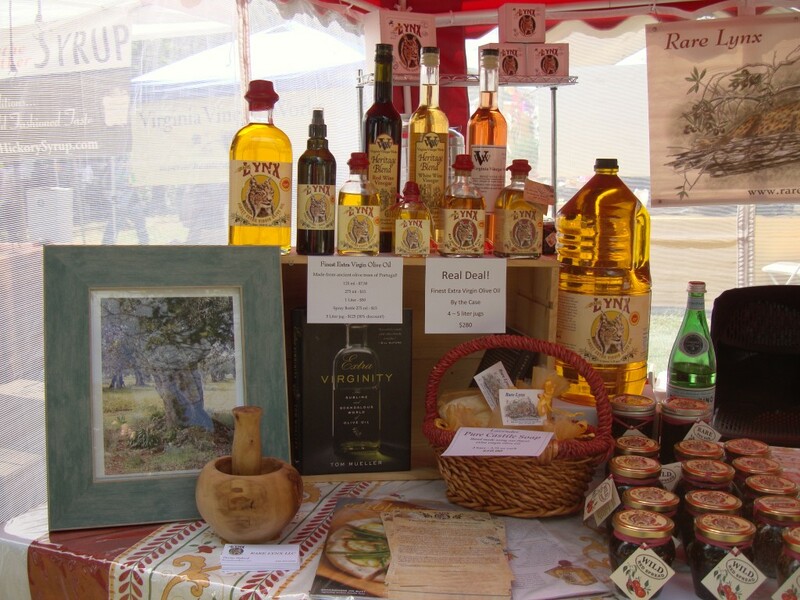 So, spread the word to anyone, especially to those in the food industry or food buying clubs and co-ops who share an appreciation for the finest extra virgin olive oil, derived from ancient olive trees in Portugal. 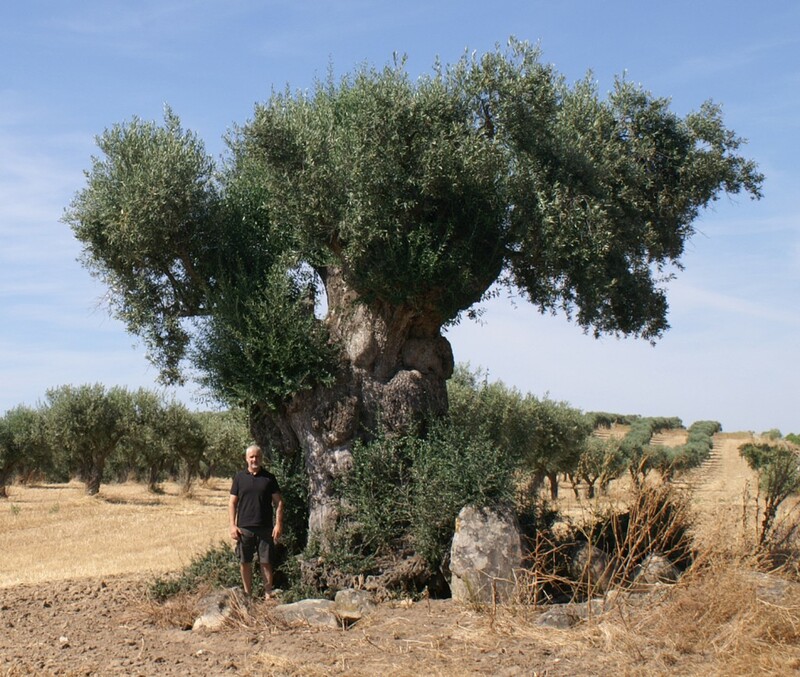 If you want the health benefits promised from using extra virgin olive oil—to say nothing about the difference that bonafide extra virgin olive oil imparts to your recipes—you have to eat REAL! We will keep this deal running while quantities last. So, Get REAL, Get Rare! 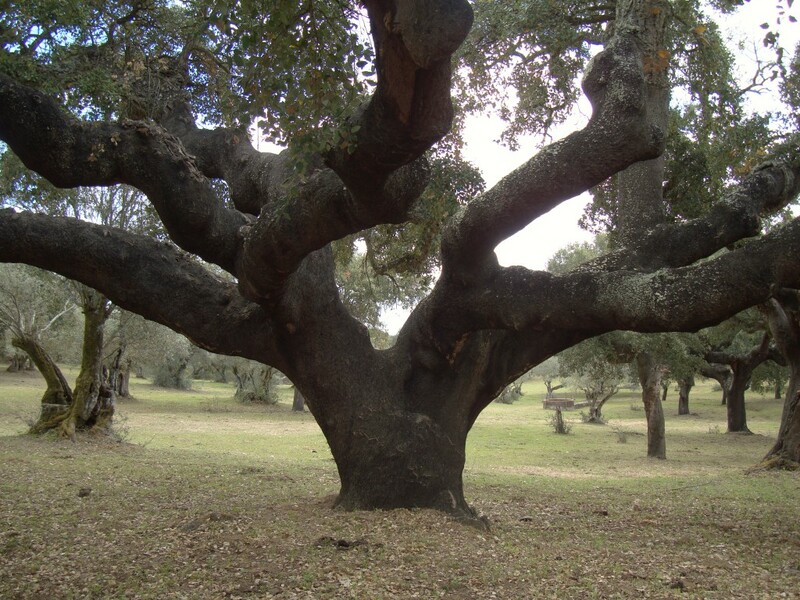 Many people do not know that cork comes from the bark of a cork oak tree. These extraordinary trees with their broad reaching arms, can grow to be 150 to 200 years old, are evergreen, and have the very unique characteristic of growing a renewable bark, which is the cork. This extremely thick durable bark layer can be harvested approximately every 9 years. Cork is completely hand harvested, requires no chemicals or artificial means to produce, is completely recyclable making it one of the most ecologically, sustainable products on the planet! 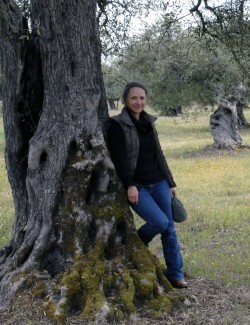 Cork oak forests are integrally significant to the planet’s biosphere second only to the Amazonian rain forests in highest levels of forest biodiversity, providing habitat to numerous endangered plant and animal species such as the Iberian Lynx, Iberian Imperial Eagle, and the Barbary Deer. Portugal produces 50% of the world’s cork supply, making it the biggest producer of cork in the world! 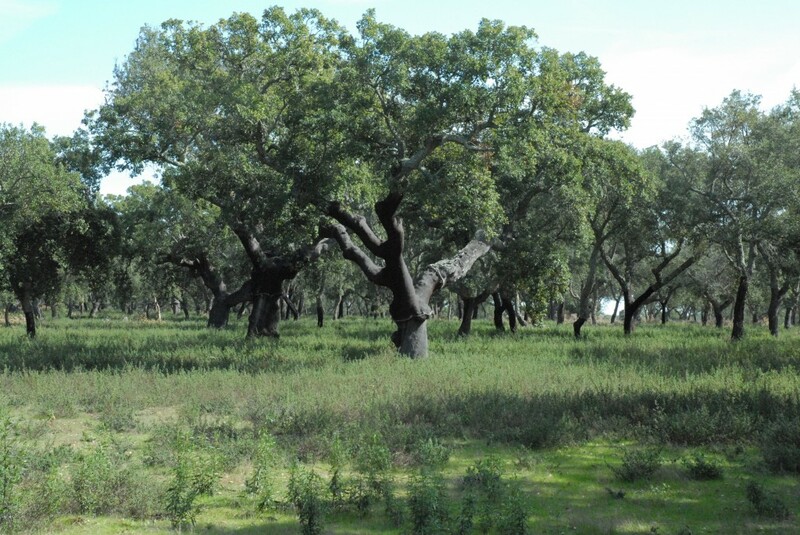 Portugal has implemented the most stringent conservation practices of the few regions where cork oak forests can grow, and provides economic sustenance to thousands of family farmers who have been harvesting cork for generations. Our bottles are capped with authentic corks from Portugal! So put a cork in it! Roast 30 minutes, stirring once…roast until soft…taste and adjust seasonings, if necessary. Put into blender. Do not puree. 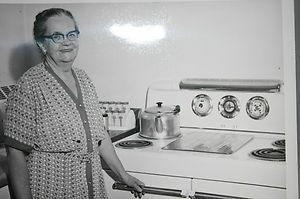 Put into a good saucepan, add milk (about 1½ cups) and cook until simmering, stir occasionally. Try it with basil and parsley! Front Royal Wine and Craft Festival! Rare Lynx has been incredibly busy since our launch at the beginning of the year! 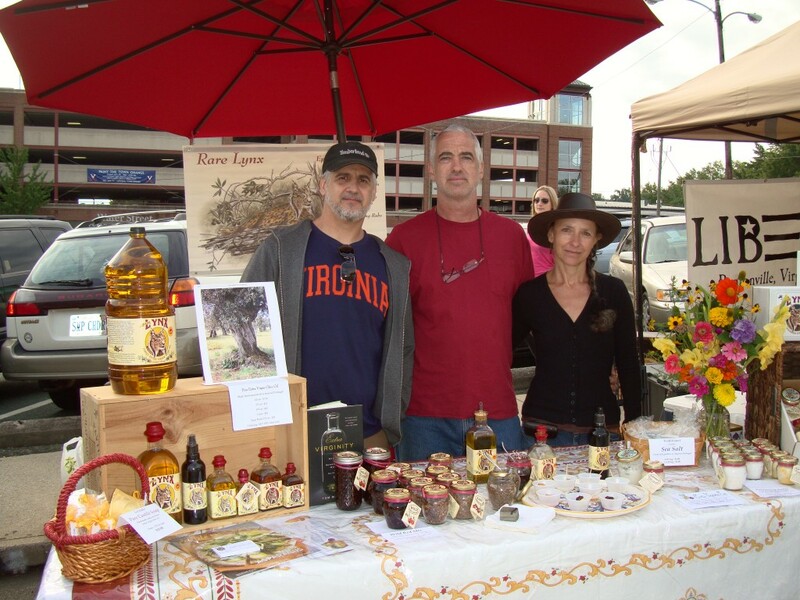 We had our debut at the Charlottesville City Market Art Show in February, followed by the Virginia Spring Market 3 day fair in Doswell, The Reston Wine and Food Festival, and the Front Royal Wine and Craft Festival, as well as participating in the awesome Tom Yum Food Festival where we got to present a talk telling about our olive oil ventures! 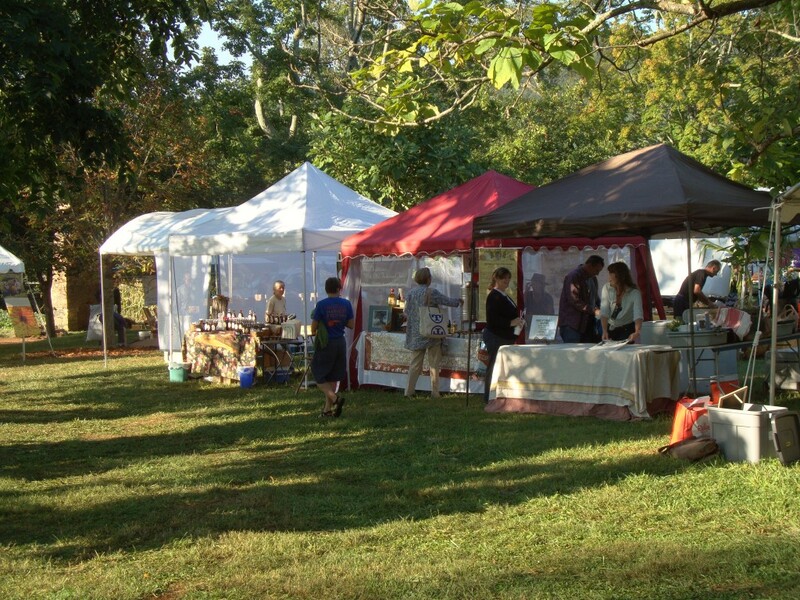 We also have a booth at the Charlottesville City Market every other Saturday. It has been a whirl wind of activity and we have loved meeting all of the people who have visited our tables, other vendors, and sharing about our passion and our products! It has been inspiring to see peoples true desire to seek out quality food, which to us means quality of life!